This time the Swatch Group brands - Glashutte Original and Jaquet Droz - opened a joint boutique, located close to the shops of world famous brands Haute Horlogerie. The boutique is divided into two parts: the products of the brand Jaquet Droz are on the left side, and on the right side - Glashütte Original. They are united by the use of an elegant minimalism that allows you to create a cozy and welcoming atmosphere. Visitors can enjoy new boutique exclusive collections of two famous watch brands on 60 square meters of the former boutique Tourbillon. 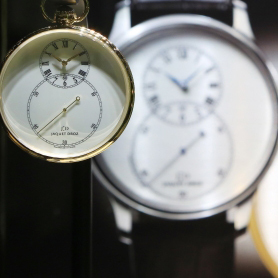 The watch company Jaquet Droz opened its own virtual museum "Gallery of Miracles” - La Galerie des Merveilles. On March 5, the Swiss watch brand Jaquet Droz has presented in the Gallery Bosco in Petrovsky Passage a new collection of women's watches with a symbolic name Lady 8. On March 5, the eve of the most tender spring holiday, International Women`s Day, the Swiss watch brand Jaquet Droz together with Bosco di Ciliegi arrange for their friends a real holiday - a presentation of precious watches. The Jaquet Droz Grande Seconde is immediately identifiable by its two off-centered dials that describe a figure eight with great purity of line. 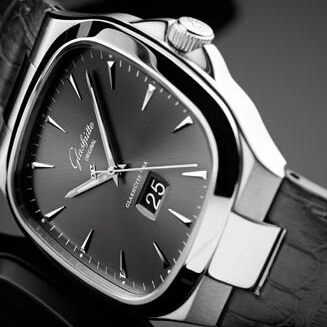 A uniquely incomparable timepiece since its inception, it is regularly reinterpreted by the brand’s artisans. To celebrate the upcoming Year of the Horse, the company Jaquet Droz has introduced three novelties, the release of which is limited to 88 items. In honor of the 275th anniversary, the famous Manufacture Jaquet Droz at the Moscow State Historical Museum is holding an Enchanted Journey exhibition. The beauty and charm of native Jura songbirds have always fascinated the venerable watchmaker and founder of Jaquet Droz. Using advanced technology, the brand Jaquet Droz has introduced a new collection of a gorgeous watch Petite Heure Minute Relief Seasons with charming blue songbirds on the dial. The legendary watchmaker Jaquet Droz especially for the beautiful half of the planet has developed an elegant model, which case is made in the shape of the number "8" - the symbol of infinity and harmony. The famous watch brand Jaquet Droz to participate in a charity auction Only Watch 2013 has released the novelty The Loving Butterfly. The watch company Jaquet Droz at the international exhibition of watches and jewelry BaselWorld 2013 has introduced a novelty Grande Second Quantieme 2013. At the annual exhibition BaselWorld 2013, the Swiss watchmaker Jaquet Droz has introduced a novelty Perpetual Calendar Eclipse black enamel (Ref. J030533200). At the annual exhibition BaselWorld 2013, taking place in Basel (Switzerland), the famous watchmaker Jaquet Droz has introduced a novelty Grande Heure GMT. In 2013, the famous watchmaker Jaquet Droz is celebrating its 275th anniversary. In honor of this event, the brand has introduced a new website, which is also available in Russian language. The new women’s watch Petite Heure Minute 35 mm by the Swiss watchmaker Jaquet Droz has a round case of 35 mm diameter in stainless steel. The bezel is decorated with 160 diamonds, giving them a great view. Swiss watchmaker Jaquet Droz presents a new limited edition watch Bird Repeater, which combine advanced technology and achievements of Swiss watchmaking and highly artistic design of the dial. Release of a pocket watch - no doubt, a move inspired by the romance and nostalgia. Pocket watches offer a new interpretation of modern man to reveal the secret of universal love for them, with their elegant forms shrouded in mystery and magic. Swiss watchmaker Jaquet Droz has presented in the current 2012 year an excellent new collection of Grande Seconde Mineral, consisting of models with dials made of semiprecious stones. Renowned watchmaker Jaquet Droz at the world exhibition BaselWorld 2012 has introduced a new model Grande Heure Onyx (Ref. J025030270). The well-known company Jaquet Droz at the world exhibition BaselWorld 2012 has introduced new sporty watches Grande Seconde SW Steel-Ruber (Ref. J029030140) and Tourbillon (Ref. J030033240). The famous watchmaker Jaquet Droz at the world exhibition BaselWorld 2012 has presented the delightful watches: Grande Seconde off-centered Ivory Enamel (Ref. J006033200), Grande Date Ivory Enamel (Ref. J016933200), The Eclipse Ivory Enamel (Ref. J012633203). The history of watch house Jaquet-Droz counters more than three centuries. By this company produces the newest variations of wristwatch, which differ with its exclusive, durability and high quality. Particular interest of the watch company Jaquet Droz to China and its culture is often manifested in the products of this brand, paying homage to the centuries-old traditions and specific culture of the Middle Kingdom. This is not a science fiction or a hoax. The watchmaker Jaquet-Droz has created humanoid automata back in 1774. And today it is a great way to advertise their watches: if Jaquet-Droz able to create a whole person what prevents from embodying of perfect watches? Besides, this is not a simple man, but carrying out a certain job - writing. In September of this year, the watch company Jaquet Droz has released new watch models Grande Seconde. These watches became the prototype of today's novelty - Grande Seconde with a tourbillon. The novelty also has the famous motif of figure 8 on the dial, which uses the company since 2008. The watch company Jaquet Droz has announced a new limited edition line of Petite Heure Minute Dragon Majestic Beijing. For the first time the famous Swiss watch brand Jaquet Droz has introduced a new collection of watches Petite Heure Minute with the new format of the models. The new line of Petite Heure Minute is a tribute to the flawless execution of design, which is timeless and always relevant.